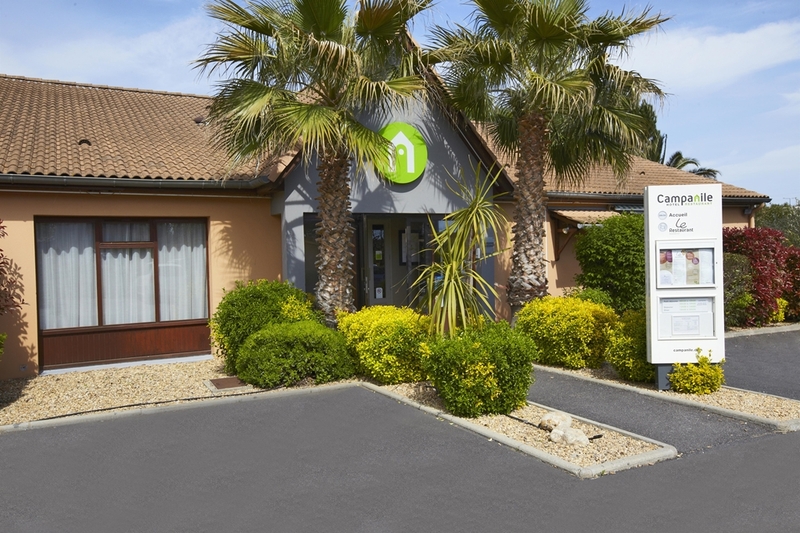 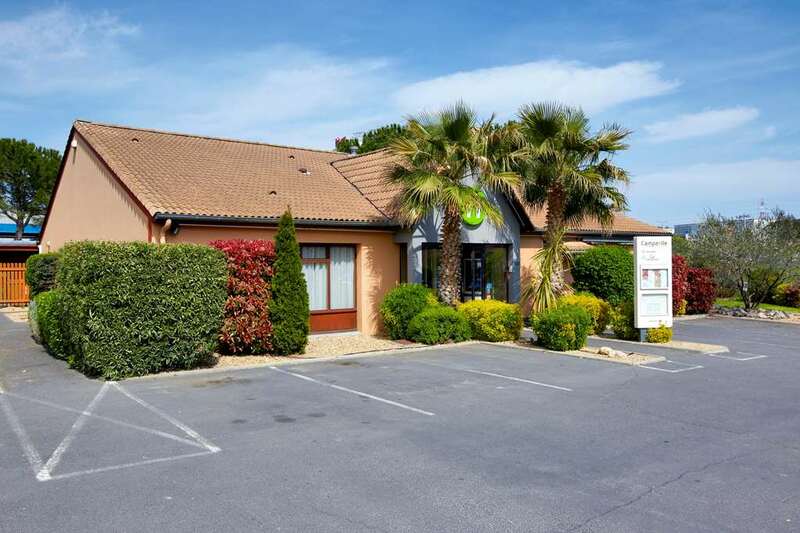 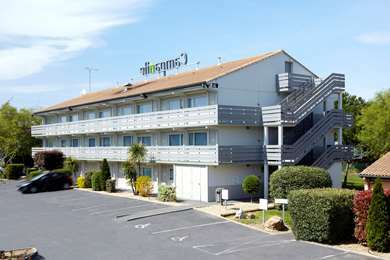 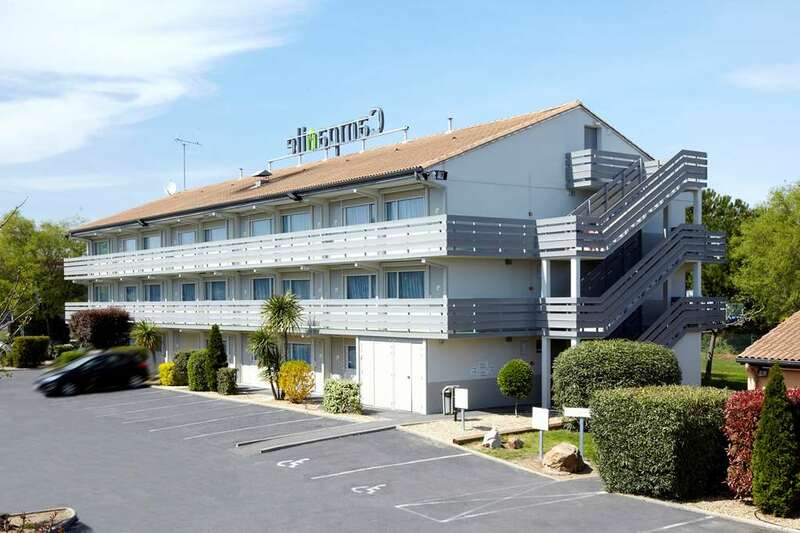 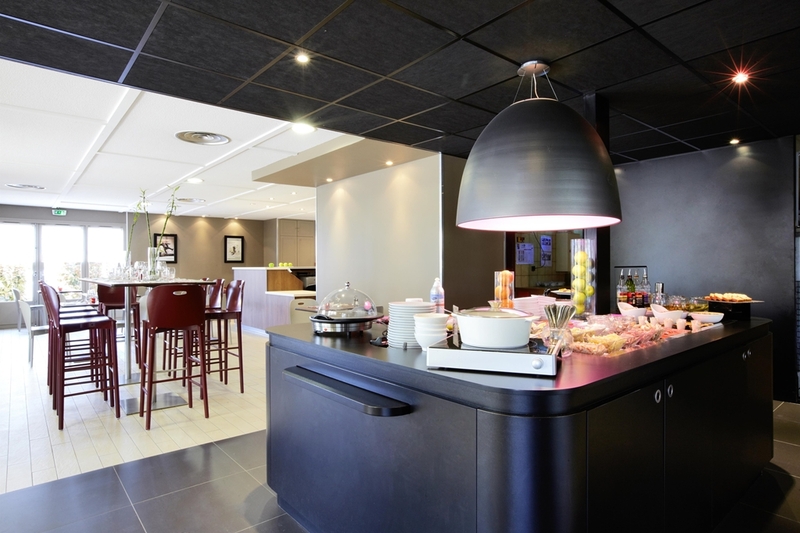 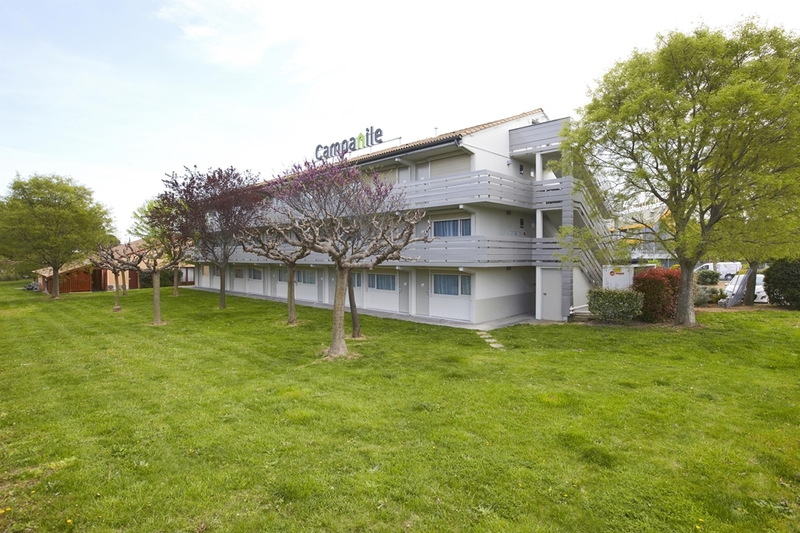 At the heart of the Languedoc Roussillon region, surrounded by vineyards, wine cellars and wine merchants, 300m from the exhibition park, 500m from the Stade de la Méditerranée, 6km from Béziers town centre and SNCF train station, 12km from Béziers Cap d'Agde airport and the Mediterranean coast, close to the Capiscol and La Montagnette business zones, and easily accessible from exit 64 on the A9 and A75 motorways, your 3 star Béziers Campanile hotel-restaurant boasts a superb location. 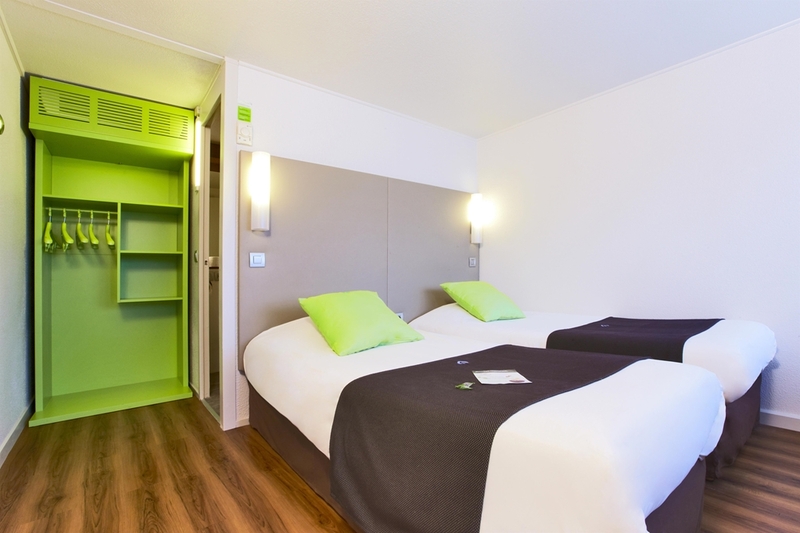 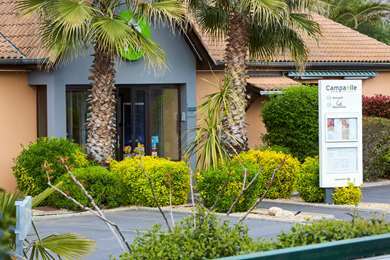 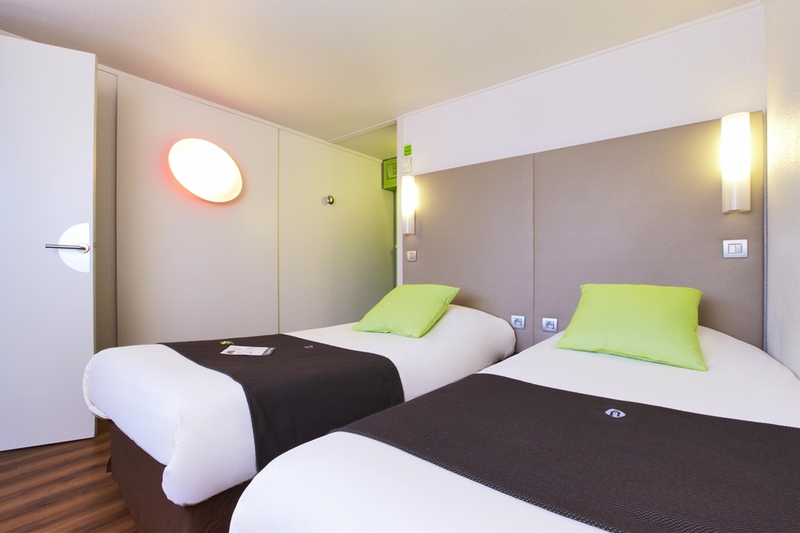 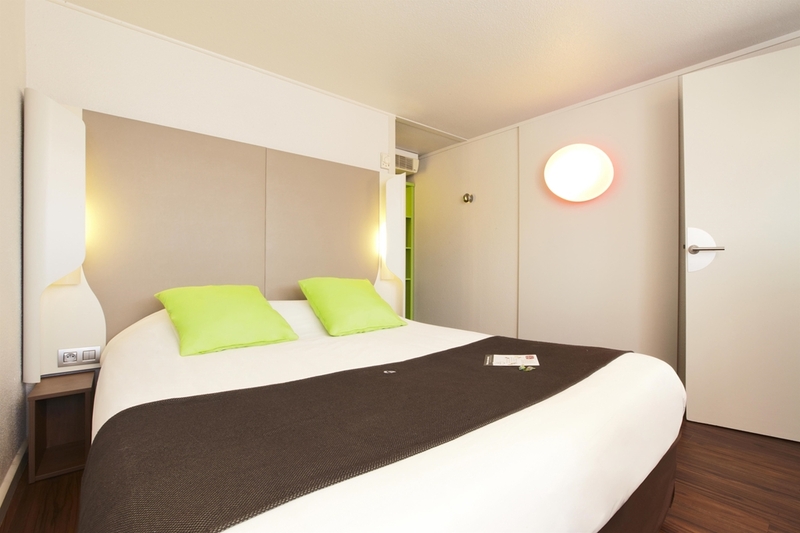 The Aqualand water park at Cap d'Agde (30 mins), the Saint Thomas à Bessan golf course (20 mins) and the Sigean African Reserve wildlife park (45 mins) are all close to the hotel. 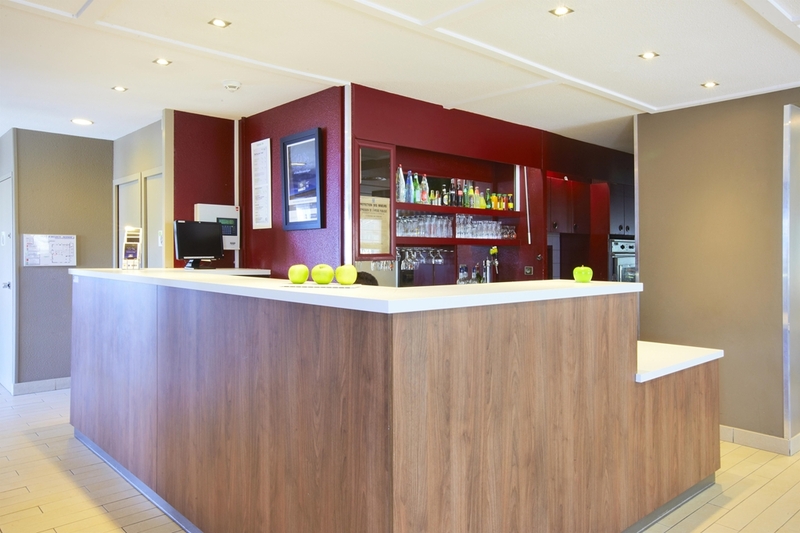 A bowling alley is just 500m from the hotel. 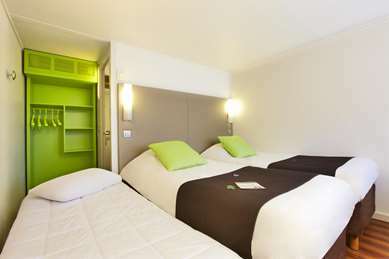 Make the most of your stay by exploring neighbouring towns such as Pézenas, the town of Molière, which has a rich cultural heritage, the Canal du Midi and Fonserannes Lock (on the UNESCO Heritage list), Portiragnes village and Port Cassafieres (for boat trips), Saint Nazaire cathedral, the Roman amphitheatre at Nîmes, and the Oppidum d’Ensérune, without forgetting the Caritats and Festa d'Oc festivals, and the Féria de Béziers, with bullfighting and street parties. 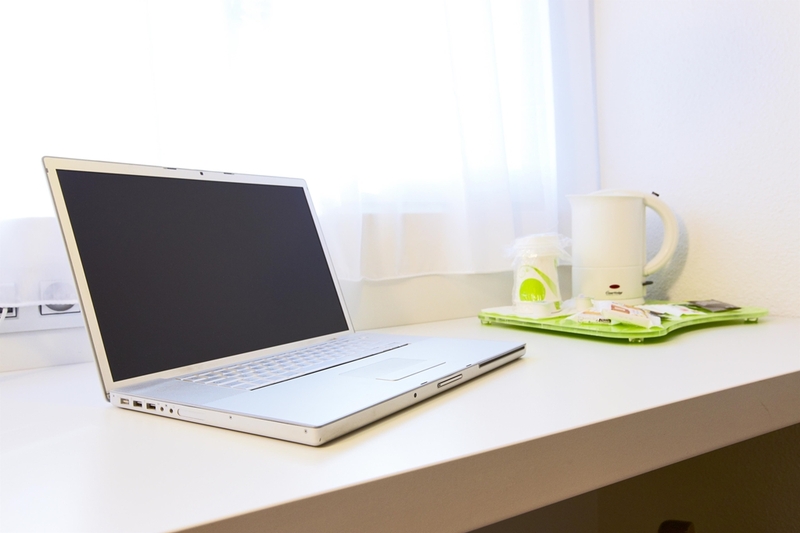 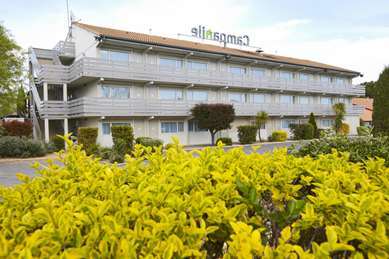 Free Wi-Fi is available throughout the hotel, which also provides a free, enclosed car park and 24-hour reception service. 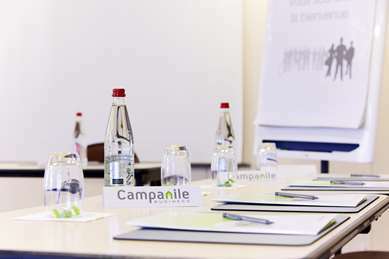 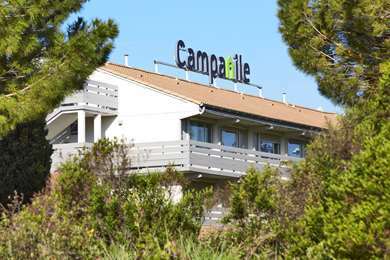 Discover the Campanile restaurant, which was refurbished in 2010 and seats 60 in the main room and 40 on the terrace. The restaurant is open for breakfast, which is an all-you-can-eat buffet, every day from 6.30 to 10am. It is also open from 12 to 2pm and 7 to 10pm for lunch and dinner. 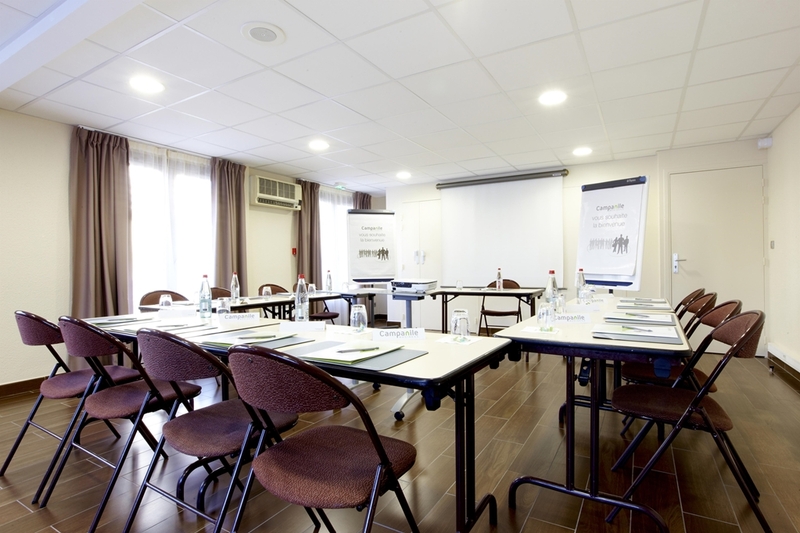 For your seminars and training workshops (minimum 10 people), an air-conditioned and well-lit conference room, which was refurbished in 2012 and can accommodate 25 people in the U-shape arrangement and 45 people in the theatre arrangement, is available for hire. The room is equipped with: video projector, overhead projector, screen, flip chart and telephone sockets. For more information, request prices at reception. Our 53 rooms, three of which are accessible for guests with reduced mobility, are air-conditioned and equipped with top-of-the-range Simmons bedding. 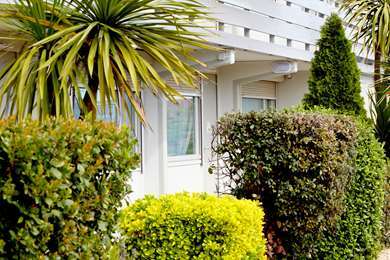 All rooms have a balcony or window. 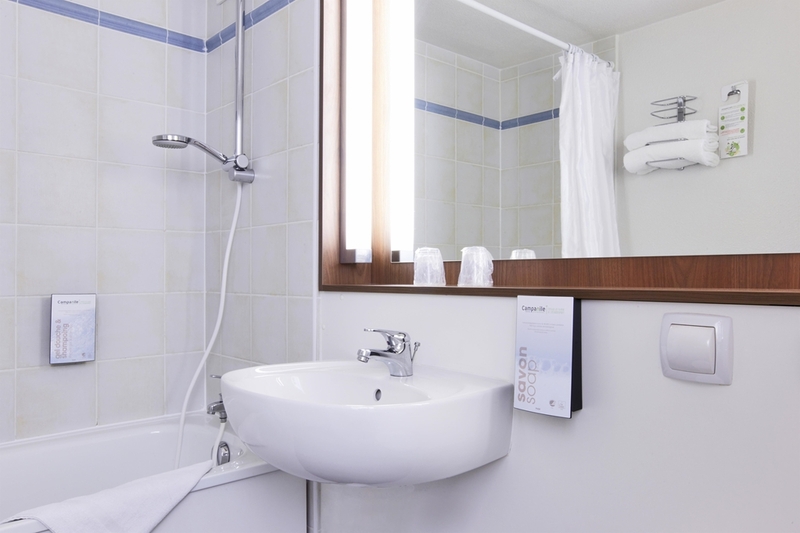 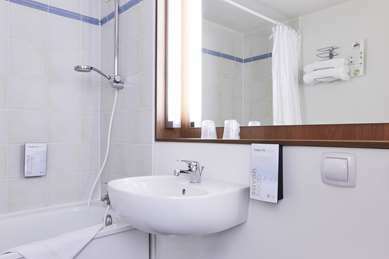 Our rooms feature: Flat-screen TV with satellite channels, telephone, desk, free Wi-Fi, welcome tray (kettle, tea, coffee, herbal teas and biscuits), wardrobe, and a bathroom with bath-shower and toiletries. 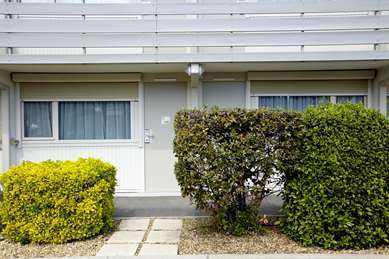 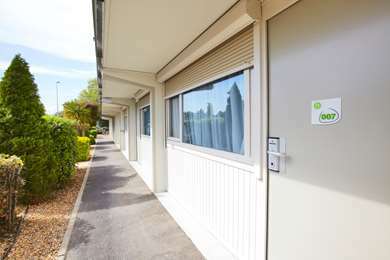 For your security, doors can only be opened using swipe cards and windows are fitted with roller shutters. 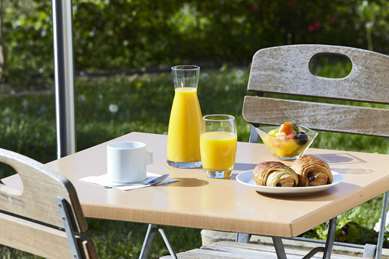 Everyday, from 6:30 a.m. to 10:00 a.m., enjoy a balanced buffet breakfast: tea, coffee, fresh fruit juice, cereal, pastry, eggs, breakfast meat, yogurt and fruit salad. 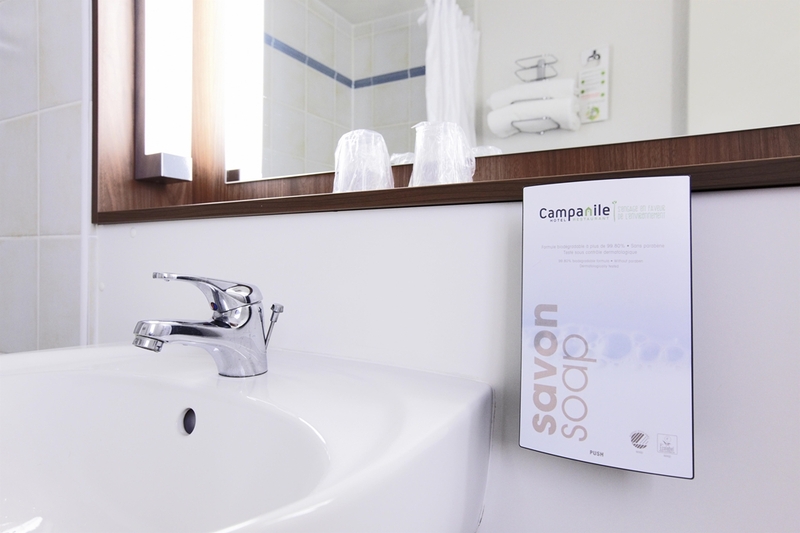 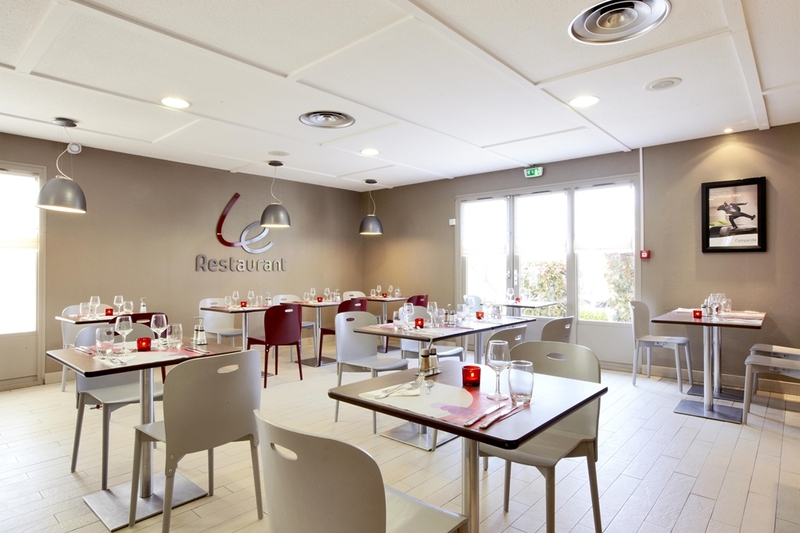 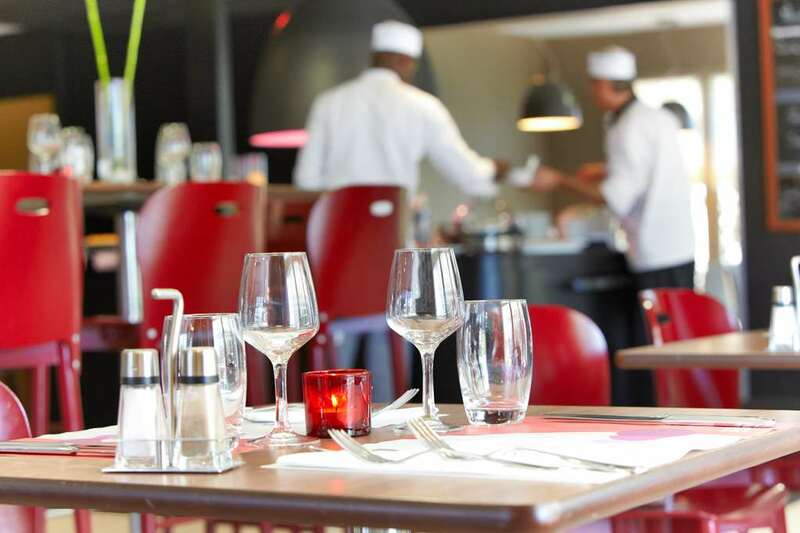 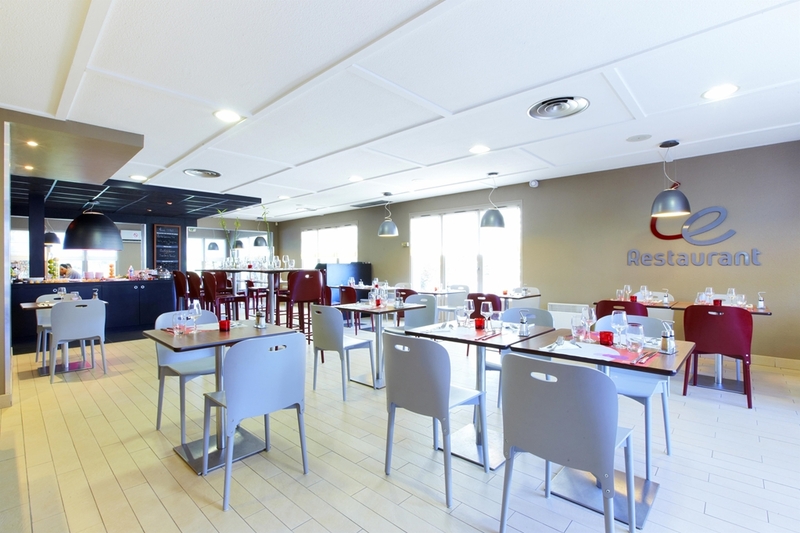 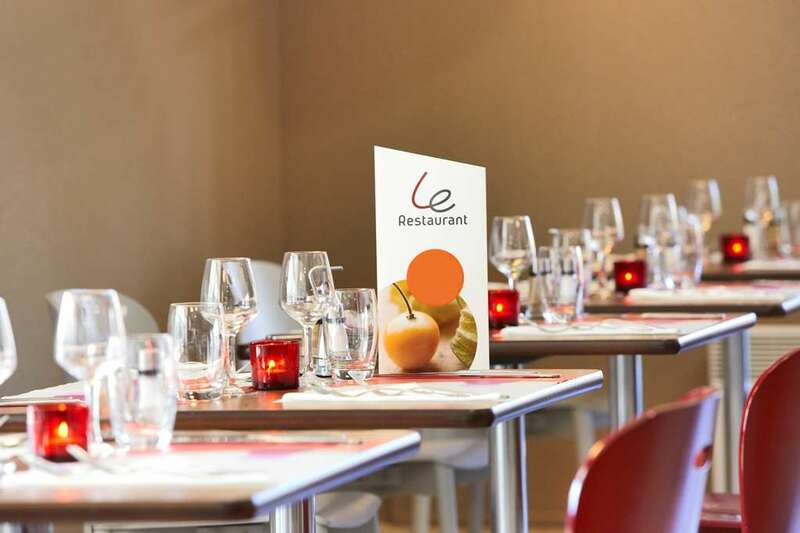 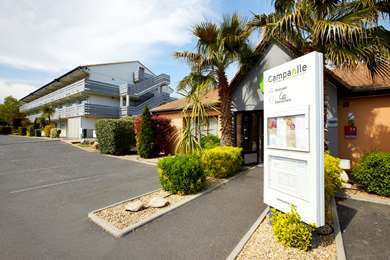 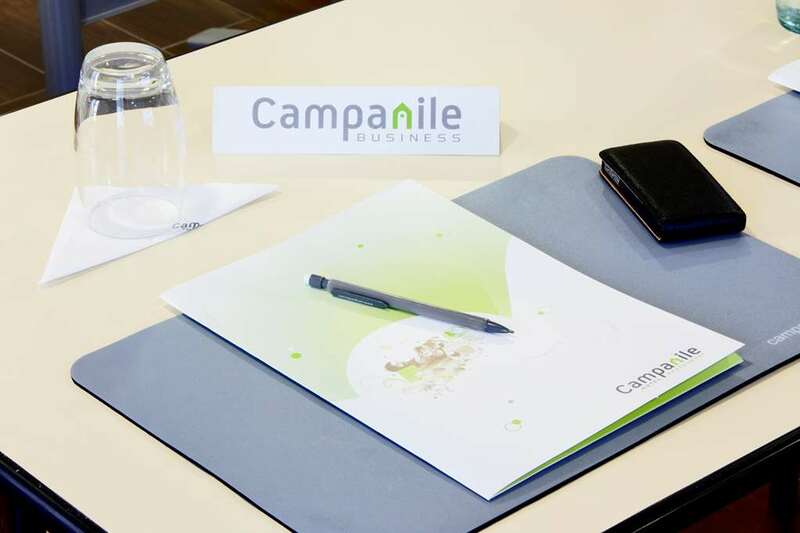 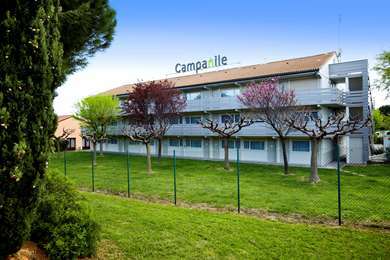 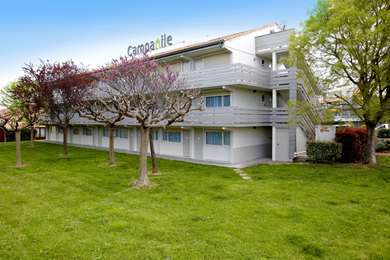 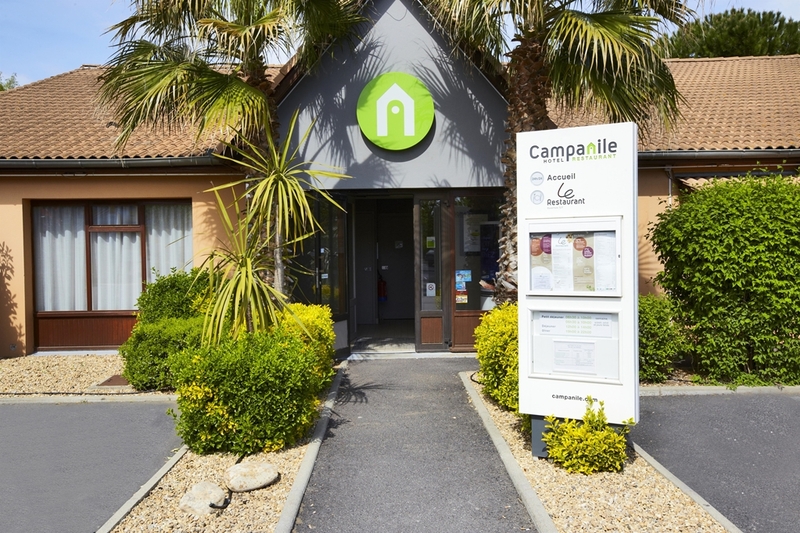 Campanile BEZIERS offers regional, traditional, light or family-style cuisine. 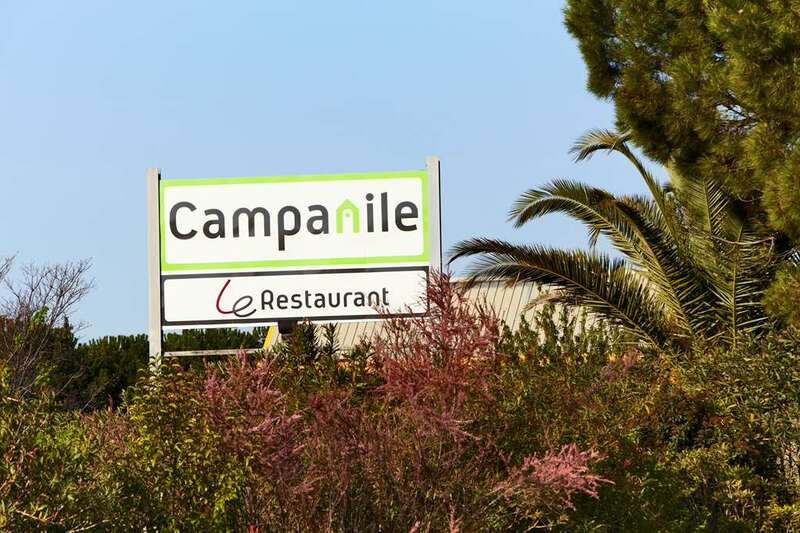 From Montpellier or Perpignan via A9 : exit A75 g, toll at 500 meters, exit N°64 Beziers-Cabriais, 1st round circle , drive under the bridge in front of, take direction area LA DEVEZE, PAE du CAPISCOL, then 2nd round circle stay on right and take Stade Mediterannee, Parc des Expositions. 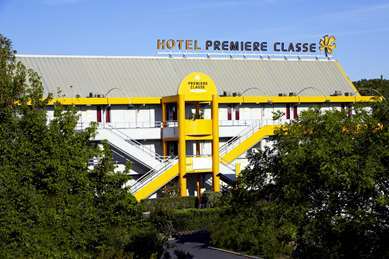 From Clermont Ferrand : A75 take exit N°64 Beziers-Cabriais, 1st round circle , drive under the bridge in front of, take direction area LA DEVEZE, PAE du CAPISCOL, then 2nd round circle stay on right and take Stade Mediterannee, Parc des Expositions. From other directions : area LA DEVEZE, Parc des Expositions, Stade Mediterannee, Ecole Hôteliere.Railway station Béziers at 6.5 km. 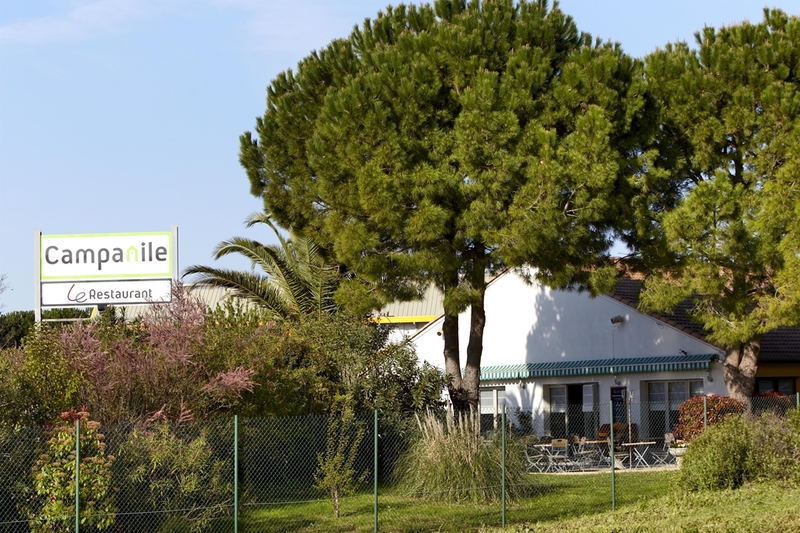 Béziers Agde Airport at 12 km.